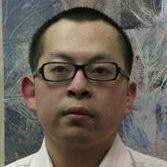 Tianxing Cai is currently visiting assistant professor in the Department of Chemical Engineering of Lamar University in Beaumont, Texas, USA. He got his Ph.D. and M.E.S of Chemical Engineering from Department of Chemical Engineering of Lamar University. His B.S. of Chemistry was from Shanghai University in Shanghai, China. He serves as newsletter editor and webmaster for divisions of AIChE.